May 20, 2017 by Warren Woodberry, Jr.
To some, the name Sheraton may conjure up visions of a tall rectangular hotel where atop its logo beams bright, and below tourists blend with business people in pleated khakis and brightly colored polo shirts. It’s a common scene at big box hotels around the globe; service and amenities you come to expect, often times making for a mundane stay. The Sheraton Grand Los Cabos Hacienda del Mar in Cabo San Lucas Mexico, however, provides visitors with a unique experience that is unlike what many have ever seen. Most frequent travelers have stayed at the Sheraton hotel at some point or another. But like many chains, the Sheraton is similar in different parts of the country. The familiarity of hotels have prompted many travelers to opt for exclusive destinations with amenities that make custom stays more of an enjoyable personal experience. 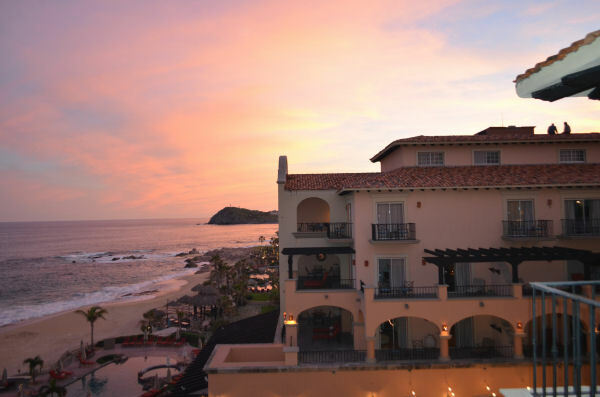 Guests at the Grand Los Cabos enjoy beautifully appointed rooms with ocean views, a range of captivating restaurants, and tailored gourmet menus. Travelers can choose from a big breakfast, light snacks, and drinks poolside. Or they can enjoy a romantic dinner looking over the sea. This exclusive property also has elegant Mediterranean architecture and imperial stone fountains with stunning views of the Sea of Cortez. Visitors can enjoy the beautiful white sands of private Tortuga Beach. 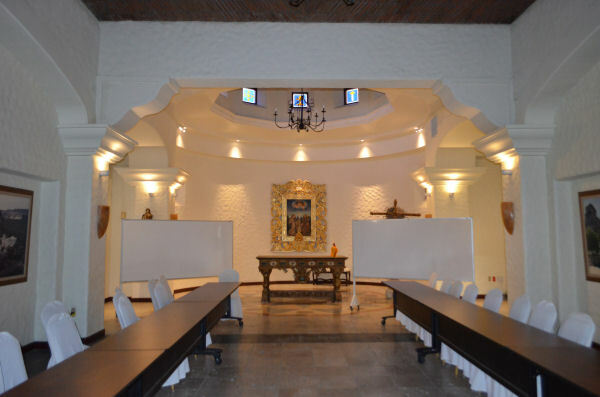 The resort is an ideal location for weddings. 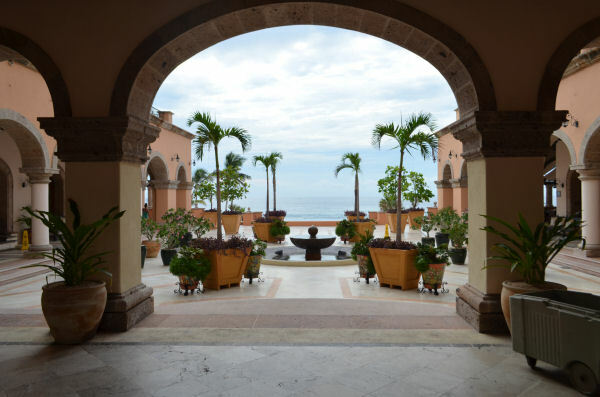 It has the magic of Old Mexico combined with the oceanfront terrace. As a guest at the Cabo resort, you can take advantage of the many amenities to help you unwind. It could be relaxing at the beach, or participating in the exhilarating water sports. The Cactus Spa is the perfect spot for guests who love to be catered to. A member of the Starwood Spa collection, the Cactus Spa has an 11,000 sq., ft. space with fitness center, beauty salon, 11 treatment rooms, and outdoor lounge. There are also five on-site pools with ocean views. The Spa is inspired by the traditional Mexican haciendas; it gives guests a quiet retreat with beautiful furnishings, lit candles, and a pleasant stone terrace. There are also spa professionals whom provide massages and body treatment. There’s fruit and water where guests can relax in the whirlpool or guests can kick back in the sauna and steam rooms. Visitors are sure to leave the resort nicely rejuvenated on their trips back home. The Sheraton has a unique Mexican colonial hacienda style that is situated on a private beach amongst private gardens surrounded by the ocean and picturesque views. 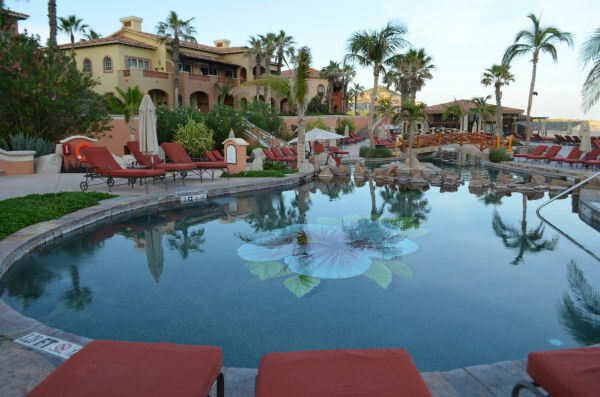 Only six miles from downtown Cabo San Lucas, the resort blusters large rooms with an Old Mexico presence. One of the luxuries also includes a five-star contemporary grill facing the Sea of Cortez. Loyal guests will find the Sheraton signature bed, and in some units a Jacuzzi, walk in shower, private balcony or patio. This property has 270 guest rooms, including 31 suites. For any requests that visitors may have, there’s a concierge team and 24-hour front desk staff ready to accommodate. Now one wouldn’t want to come to Baja and not partake in some adventure. Cabo Adventures, Cabo’s premier tour and activity operator offer unparalleled experiences. The adventure untaken by Millennium Magazine included riding Mexico’s longest zip line and a cross-country drive by dune buggy. First, it’s advised to leave your pleated khakis and colored polos back at the hotel room. Be prepared to get messy. Wear clothes and footwear that you won’t need the remainder of your trip. Our adventure began with zip lining. To those who have never tried, expert staff will tease you and perform stunts as they demonstrate to build your confidence. After the first two zips you will see it’s not as scary as it looks and much easier than expected. However….after several zips, scaling a rock wall, repelling down a rock wall, and wading through neck-high river water, the final zip is ‘The Superman.’ You are laid flat in a body harness with a GoPro camera attached to your helmet to capture your facial expressions as you literally go flying up to 80 mph over a river bed of rocks, then through a forest of trees. The experience is truly death-defying. Next the buggy ride takes you down-mountain on a winding, dirt road at about 40 mph, tops. Goggles and a handkerchief to cover your nose and mouth are required for this dusty adventure. Once the thrill is over you will be completely covered in dirt. The action is about a two-hour drive from the resort and Cabo Adventures can do pick up and drop off at the hotel. 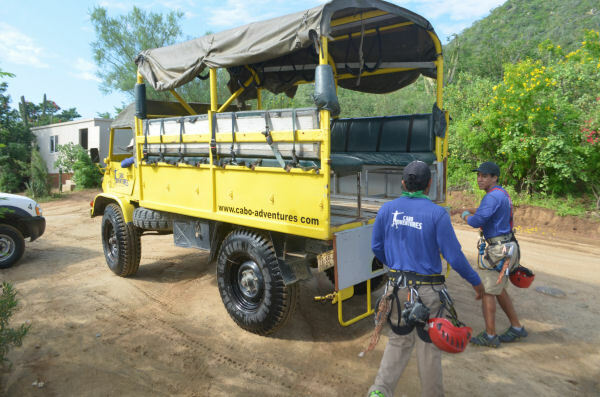 For tour operator information visit http://www.cabo-adventures.com. So if you don’t have a dare bone in your body, you can’t come and not see the most visited spectacle, ‘The Arch.’ Mexicans throughout your trip will ask you if you have been to the Arch of Cabo San Lucas, the number one attraction. 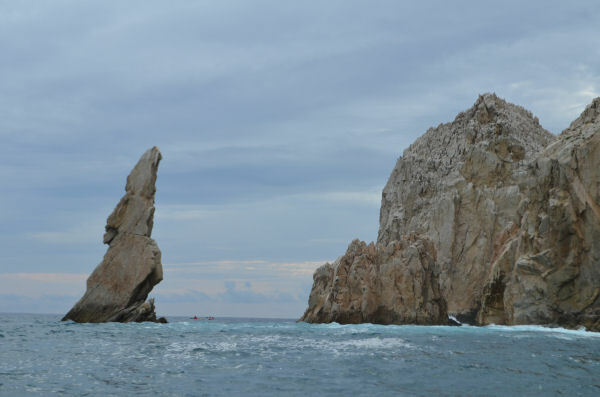 The iconic El Arco rock formation erupts from the sea, drawing boaters that post for pictures by this natural treasure. Don’t let the kids cause you to miss out on all the adventure and creating outstanding memories. Although kids are rarely seen at resorts like this, there is the Sheraton Adventure Kids Club, with safe, supervised activities designed exclusively for children aged four to 12. – Breakfast or brunch at Tomates Restaurant offers every possible breakfast food you can think of, with self-serve or custom ordered food cooked on the spot. – Shopping at the nearby Marina and Shops at Puerto Paraíso in San Lucas. 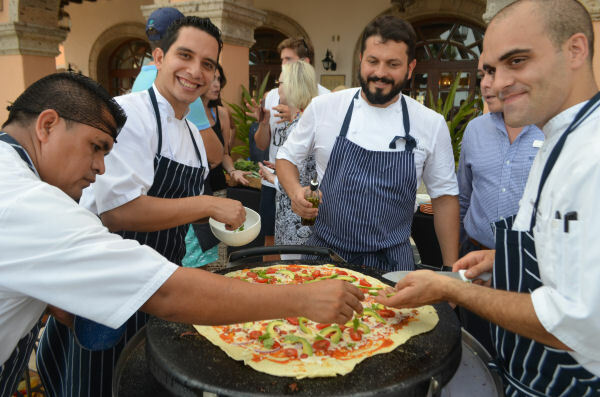 – Cooking Class with Executive Chef Manuel De Luca. 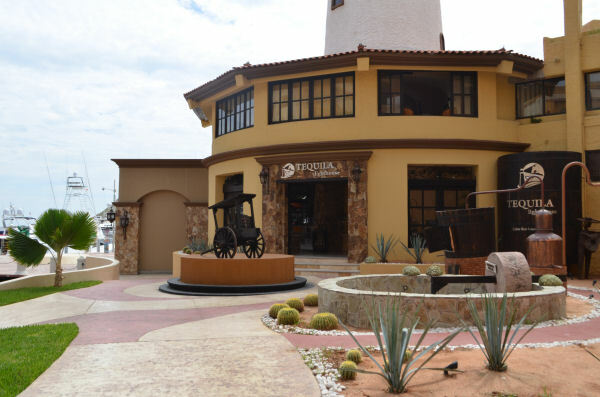 – Tasting at Tequila Lighthouse in the shopping mall in Cab San Lucas. Whether it’s relaxing on a private patio observing the sunset, or zip lining at 80 mph, the Sheraton Grand Los Cabos Hacienda gives guests a truly unique experience—providing an escape from the traditional hotel experience. It’s experiences like these are surely something travelers will never forget. For more information, or to make reservations at the Sheraton Grand Los Cabos Hacienda del Mar, visit http://www.sheratonhaciendadelmar.com.